. يعمل Budds Beach Apartments على ضمان إقامة مريحة لضيوفه من خلال خدماته الممتازة وحسن ضيافته. يمكن الاستمتاع بمجموعة من الخدمات على أعلى المستويات في الفندق كمثل تسجيل وصول/خروج سريع, واي فاي في المناطق العامة, صف السيارات, مرافق للشواء, جولات. تتضمن كل غرف النزلاء وسائل الراحة والتسلية المصممة خصيصاً لضمان الراحة القصوى للضيوف. سواء كنت من محبي الرياضة أو كنت تتطلع لتفريغ عناء نهار صعب، ستجد خدمات ذات مستوى عالي بانتظارك كمثل مسار جولف - ضمن 3 كم, حمام سباحة خارجي, حديقة. يحظى فندق Budds Beach Apartments بموقع ممتاز وخدمات يصعب منافستها. يرجى العلم أن العقار يطلب جواز سفر دولي أو رخصة قيادة دولية عند الوصول. As per title. Good, clean rooms, functioning kitchen. Short stroll to beach, shops, transport but still a quiet area. Then staff and people here. Few days you know your in Queensland! Friendly, polite, Hello, good morning, can we help, need anything? Just great. Very good location...but air condition won't work. Quiet apartment in good location, close to everything that tourists need. Room has been refurbished with IKEA furnitures, clean, complete amenities , comfy bed, indicated parking spot (1 car/unit), door lock is broken feeling unsecured, staff opened the door when still sleeping in the morning. 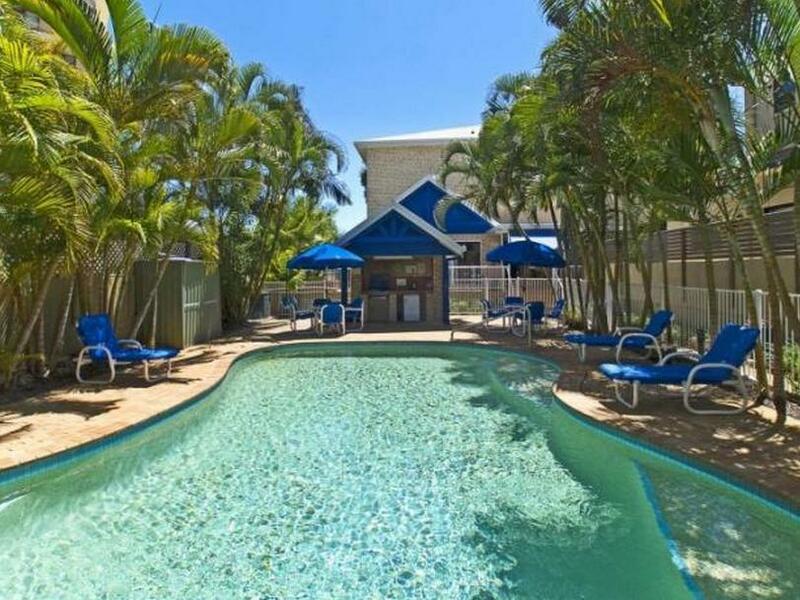 Good: nice location nice appartment, beautiful sea water pool!! Bad: the cleaning can be done better. Some unit wifi is not working (our one), but there is wifi at entrance. Interesting: no one at reception, check in through a safe to get your key and check out just return the key in the box. I like the simple style, maybe not for everyone. Oven didn't work on hot plates fan in lounge room was that noisy it would wake up unit next door! Clothes dryer didn't work,scum in shower! Fridge sounded like it was going to take off! Bbq in pool area didn't work! Staff what staff hardley seen them our stay! Not the best place to stay could be a lot better! So close to paradise! The location pretty close to the city. It's about 10mins walk to there. It's a bit old style room, but it's good enough to stay for a short holiday. Its good as it has all the basic things you need. We saved a lot of money because we cooked at the apartment. Its clean and quiet and very good location. :) Has parking as well. Will definitely comeback. Only downside is they dont provide extra tissue rolls you have to bring some if you need extra. Overall I would recommend it. Close to the beach and woolworths/coles. 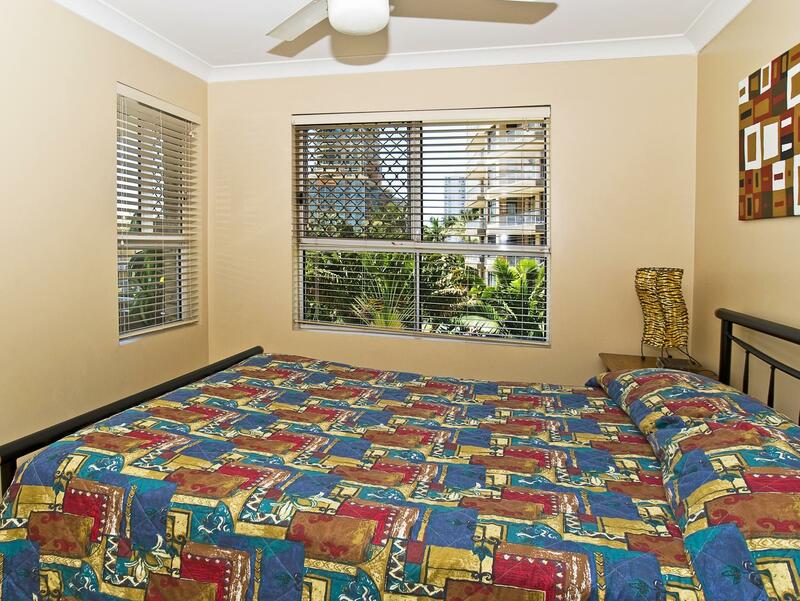 The apartment is located near the river and about 10 minutes walk to central of Surfers Paradise. Staff is friendly. Facilities is very basic. The room is clean and we've stayed comfortably for 2 nights. Self sufficient apartment with stove, microwave, fridge, washer and dryer. The sofa bed was not so comfortable... you can feel the springs. There is a ceiling fan in the living room which was low-hanging and can be a safety hazard if you raise your hand. Bathroom is a bit out-dated but kept clean. Only one roll of toilet paper given despite a week-long stay. The best thing about this apartment is that it is close to surfer's paradise/beach but in a residential area where it is quiet at night. Location was great, walkable to Caville Ave but not so near therefore more quiet and private. Big spacious room and sufficient facilities provided. Great stay, staff during check in was super helpful, gave me all the information I needed for my three days there. No interaction with staff or guests unless I wanted to, that's the holiday I prefer. Aircon was good, warm water good, washer and dryer in toilet good, TV channels with foxtel good. Only I didn't have time to use the stoves, thank God for the microwave. Utensils provided but pls bring own oil of coz. Would be great if washing powder and dishwashing soap provided though. I stayed here a week and have no complaints. Everything is close by and it was surprisingly quiet. Very homely, comfortable and great atmosphere. The stay at Budds Beach Apartments was fantastic. It was very comfortable and just what I was after. Highly recommended and would definitely stay again.